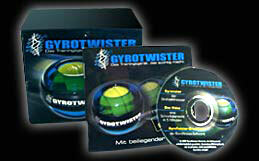 Gyrotwister - the promotional gift that's addictive. Offer the GyroTwister to your customers and create a wave of amazement. Still not convinced? Then try it for yourself! Like no other item, the GyroTwister will become the center of attention. Other people will take the GyroTwister from your hand in just seconds. Isn't this THE perfect quality in a promotional gift? The GyroTwister comes in various color combinations, with a host of options to print your company logo or message. When ordering large quantities, you can receive the outside shell and/or inside rotor in any customized color. Each GyroTwister includes a replacement starting cord, a 12 page instruction booklet with training tips and a CD-ROM including tachometer software and a 5 minute instructional video. 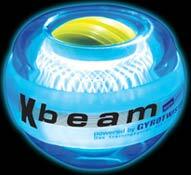 The Xbeam has a built-in power generator to create the energy you need to light it up in an amazing way. Create an intensive light in all directions. 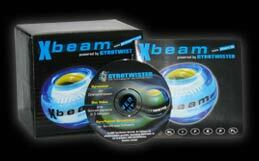 The Xbeam also includes a 12 page instruction booklet, a replacement starting cord and a CD-ROM with tachometer software and a 5 minute instructional video. We'd love to provide you with a price quote. Please complete the form below. Form of Address:: Mr. Mrs.
Any further questions or comments (e.g. about the requested number of units etc. )?